Is Playing Daily Fantasy Sports For Real Money Legal? This page contains links to news and information regarding the legality of daily fantasy sports. 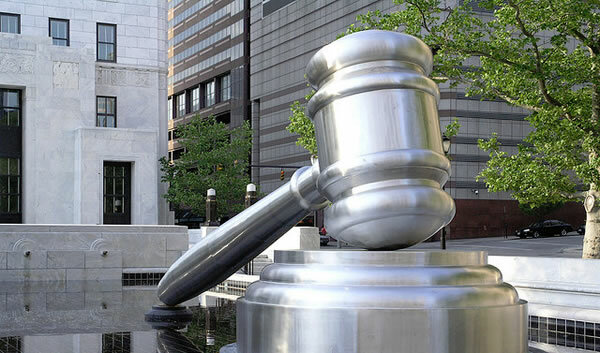 Quick Overview – It’s Legal – But This is NOT LEGAL ADVICE – In most states in the US and Canada daily fantasy sports for real money are completely legal. There are a few exceptions that include Iowa, Arizona, Louisiana or Montana specifically. In the rest of the states the daily style fantasy sports contests are legal. In fact, the UIGEA has a specific carve out for fantasy sports. They are defined as games of skill, and therefore legal. The legal landscape is very much in flux. There are a growing number of legal cases landing in favor of playing daily fantasy sports, strengthening it’s legality and others going in the other direction. According to our laypersons interpretation of the UIGEA, the following must be adhered to in order to remain within the boundaries of the law, set in 2006. The value of prizes IS NOT determined by the number of participants or the amount of fees paid. This one was confusing to me first starting out because one of the first sites I played at (now out of business) would have way more players in the tournament than money in the prize pool. IE if it was a $1 entry with a $100 total prize pool, there would be 140 players in the tournament but still only $100 up for grabs. I always complained that the prize value should go up, OR that they should limit the number or participants (which the larger sites we recommend now do). Now I understand why the prize pool didn’t increase, however I also now understand why that old site that kept on letting players in, is out of business. The fantasy game results are NOT based on the final scores of any real-world games. This is why you can only pick a limited number of players from the same team when drafting your fantasy team and you can not play fantasy when there is just 1 game going. IE – there are not any “Superbowl Fantasy Football Games” available because they do not want to break this rule. First you need to understand that you should not deposit more than you can afford to lose. If you can not afford to risk $10, then playing fantasy football is not for you. Secondly make sure you play at a legit fantasy sports website. Just because playing is legal does not mean that some sites would not take advantage of users who did not do their homework. If it looks to good to be true, don’t do it. Stick to one of the top 10 fantasy sports betting sites listed here and you will be sure to find a site you can trust. Use real information when creating your account. Why can you not play Daily Fantasy Football on the Superbowl? – You have to pick players from more than just 1 game in order to satisfy some of the UIGEA requirements.